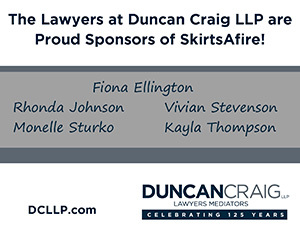 SkirtsAfire is proud to present this 4th Annual Women’s Choral Festival in Edmonton in partnership with Bella Voce Choir featuring Stephanie Tritchew from the Edmonton Opera and emerging singer-songwriter, Hannah Gaszo. 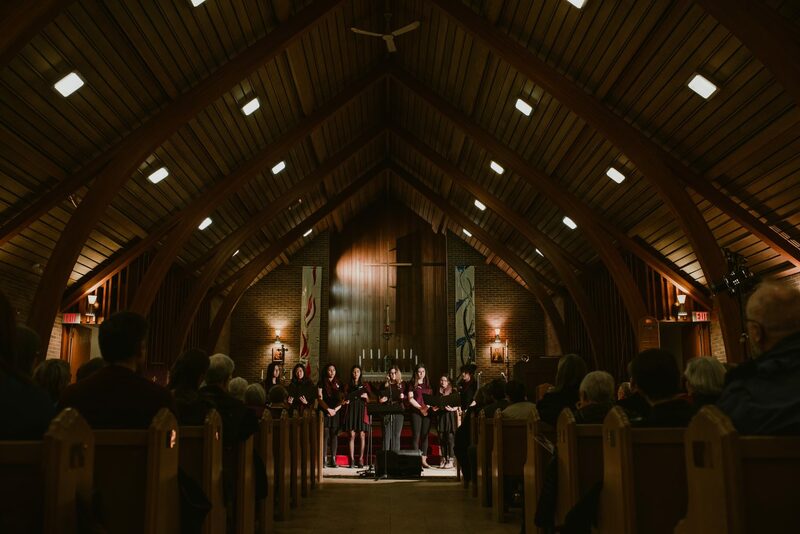 Bella Voce Concordia is a 30-voice non-auditioned choral ensemble for women, composed of both students at Concordia University of Edmonton and members of the community. The repertoire of the choir is varied, from folk music to lighter classics and seasonal favourites. The performance schedule includes annual participation in the Sacred Music Festival (October), a Christmas Concert (December), the SkirtsAfire Choral Festival, and a spring dessert concert (April), and frequently includes collaboration with Concordia’s 100-voice mixed choir (Concordia Community Chorus) and senior handbell ensemble (Jubiloso! Bells of Concordia). Ariose Women’s Choir is an award winning, nationally recognized choir of singers from all walks of life. 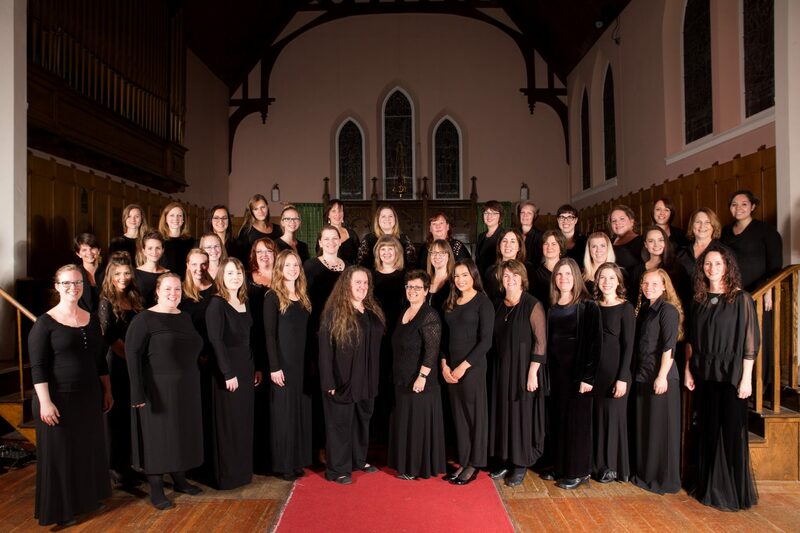 Based in Edmonton, Alberta, and led by their artistic director, Jolaine Kerley, the group enjoys the challenge of exploring and performing music of various styles and from different periods, and strives to expose audiences to a vast array of women’s choral music. Founded in 1995 by Dr. Marilyn Kerley, Ariose has built a legacy of excellence in choral music, and has filled a unique role in Canada’s choral landscape. The group regularly performs pieces by Canadian artists, and has commissioned several works by Canadian composers, including Allan Bevan, Ramona Luengen, and most recently Christine Donkin. 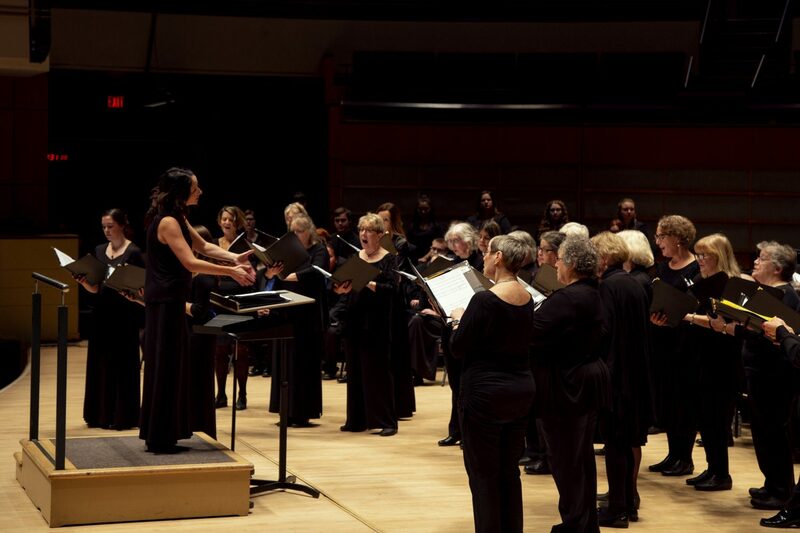 Edmonton’s Belle Canto Women’s Choir is regarded as one of Canada’s leading women’s choral ensembles. Originally a group of university students, the choir now consists of amateur singers from all walks of life. The women of the choir are committed to performing music specifically written for treble voices and they share a common interest in performing this music at the highest professional standards. The choir is particularly well-known for their adventurous programming, their stunning ability to sing in a wide variety of languages, and their full use of the women’s vocal palette. Their two CD recordings – Sing! (2010) and Invocation (2006) – feature many of the works by Eastern European and Scandinavian composers that form the core of the choir’s repertoire. Much of this music has seldom been recorded or performed by choirs in North America, and it has been our sincere pleasure to share these works with our audiences. Archbishop Jordan runs an award winning choral program which includes a non-auditioned Girls’s chorus and auditioned Ensemble and Jazz choirs. Under the direction of Ms. Jolaine Kerley and Mrs. Nevada Moes, the choirs perform in local and national festivals and tours each year. For over three decades, the choirs have won numerous awards and accolades and have toured nationally and internationally. 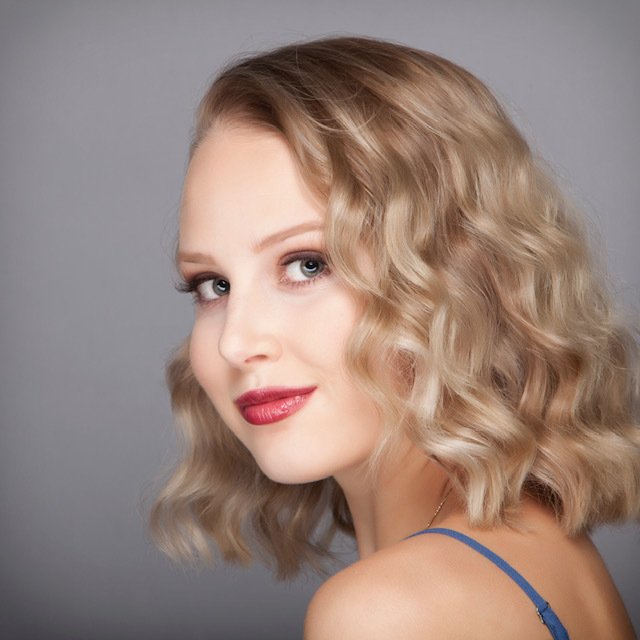 From St. Catharines, Stephanie Tritchew recently appeared as Stéphano in Roméo et Juliette with Calgary Opera and made her Messiah debut with both the Belleville Choral Society and Chorus Niagara. Her season began with her performance in Tapestry Opera’s “Tapestry Briefs.” Ms. Tritchew’s 2017-18 season included her Tapestry Opera debut as Birgitta in Bandits in The Valley, her Vancouver Opera debut as The Friend in Requiem for a Lost Girl, and her Opera 5 debut as Rosina in Il barbiere di Siviglia. Other career highlights include Third Maid in Elektra (Edmonton Opera), The Aunt in Madame Butterfly (Opera Theatre of Saint Louis). 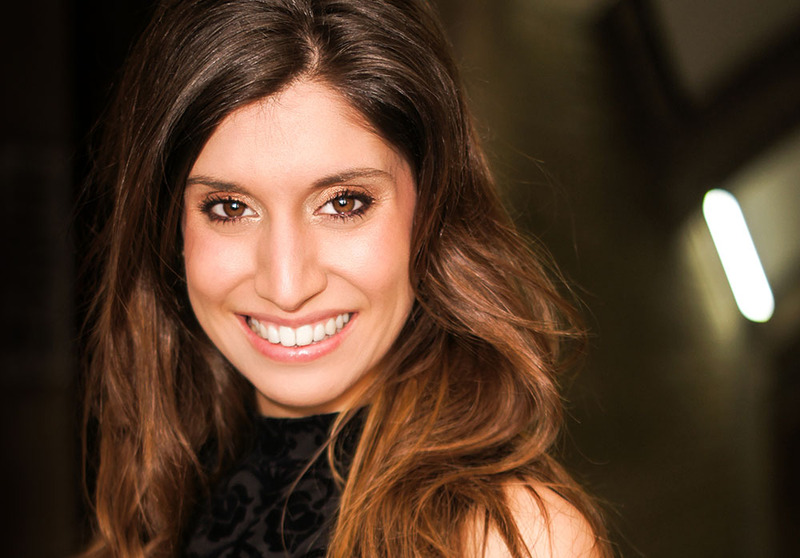 Stephanie is a graduate of the Calgary Opera Emerging Artist program and the Yulanda M. Faris program at Vancouver Opera. 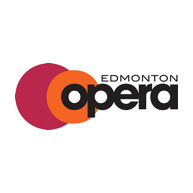 She is thrilled to be returning to Edmonton Opera as the cover for Isolier in Le Comte d’Ory. Hannah Gazso is a 15 year old singer/songwriter from Ardrossan, Alberta with a passion for performing. She has been on the stage since she was 9 years old, and has most recently found her love of songwriting. After writing her first song at age 12, she continued writing more and more, and now considers songwriting her favourite part of her music. This past summer, she was the winner of the Big Valley Jamboree Road To Mainstage Competition, and was rewarded a performance on the mainstage just before Brett Eldredge and Florida Georgia Line. She was also one of the four songwriters selected to perform in the Big Valley Jamboree Songwriters Tent Youth Round, which was a highlight for her. She has also competed in various other competition including the Calgary Stampede Talent Search and the Ship And Anchor Songwriting Competition. She just returned from her second trip to Nashville inspired and excited for what this year will bring for her.